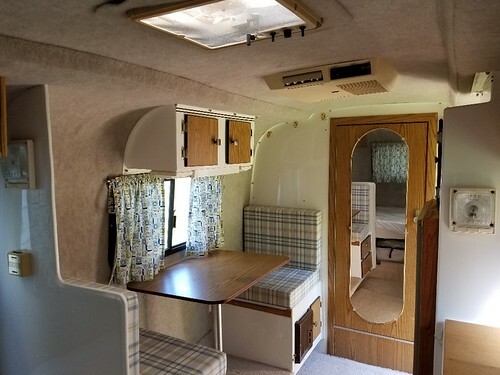 It is with heavy heart that I am putting our 1998 Scamp 16 layout 6 up for sale. It works like a jewel but with health issues as they are we have to look at other options. 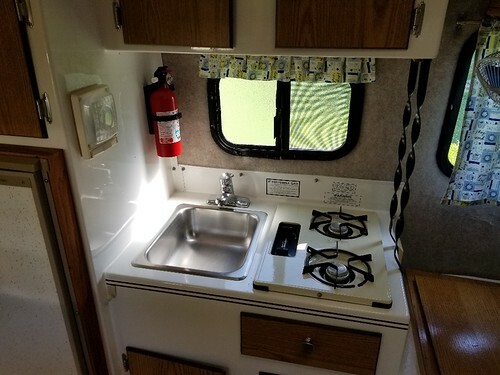 So what I have is a very well maintained front bath side dinette with the rear dinette converted to a full time bed. 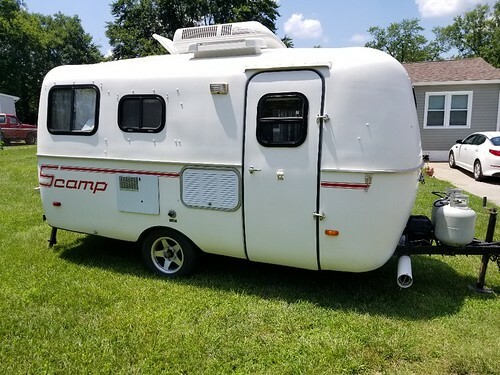 We are asking $11,000 for it. 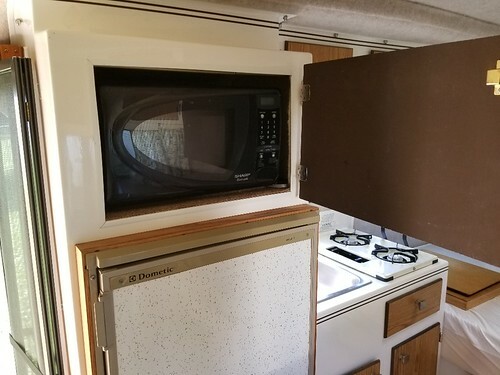 It has AC, LP furnace, 4 cuft LP/110v Refidgerator, LP water heater, New tires and aluminum wheels, new spare tire cover, duel propane tanks, Deep cycle battery, Microwave oven, Propane cook top, new cabinet door pulls and hinges, new stainless steel door holder, rebuilt exterior hinges with stainless steal parts, new tail light covers, and electric brakes. 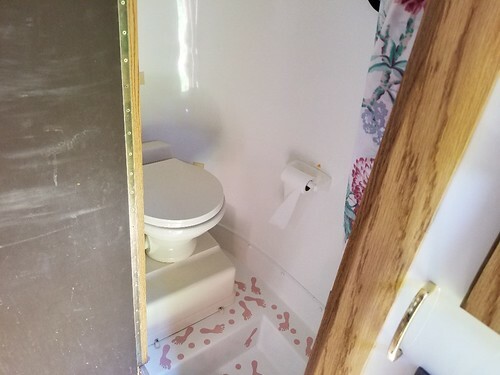 Every thing on this camper work as it supposed too. We took it camping in Virginia in May and it worked like a charm the entire 10 days. We are in TN and may be interested. Where in TN are you located? Thanks! Lorrie - I am in Knoxville. PM me if you are interested. I am coming through Tennessee next week . Where in Tennessee are you located? Marvin, we are in Knoxville Tennessee, on the edge of the Smokies. Come on by and take a look. Please put me on your list of potential buyers - I will be coming through TN around the end of September. Please let me know around the 22nd if it is still available. capnjack I will do that. Safe travels. Capnjack it is still available. Come on over and make it yours. Eric - I may be in the Knoxville range as early as Tuesday morning. 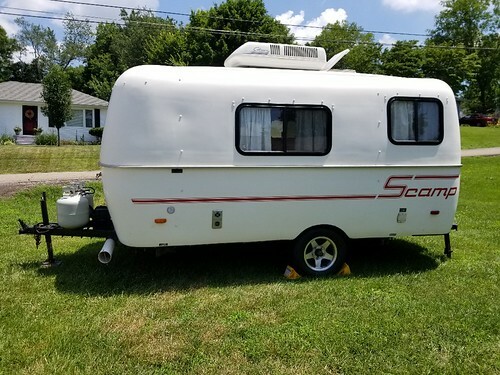 Please PM me your address AND phone number if the Scamp is still on the market. I PM ed you a bunch of questions about a week ago, but am not sure it really got sent - resending below. Hey Eric, Got some questions about your Scamp. 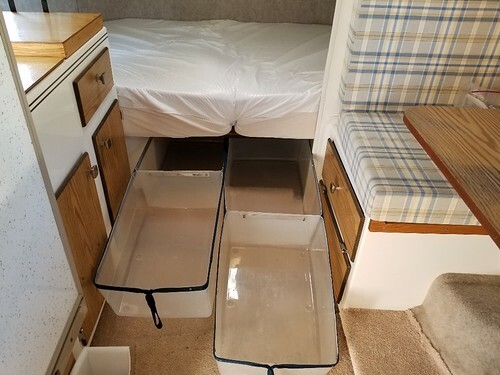 - as currently outfitted, do you know the gross weight? If not, as part of my test tow, is there a truck scale nearby that we could weigh it? I'm also trying to get some objective value for comparison - could you give me a quick rundown on what systems are installed for the following? Only select options below that are in addition to standard equipment and equipment noted in the manufacturer or year notes show above. Thanks. I'll be in touch as we get closer to Knoxville. Would help if I could have your phone number, too. Capnjack I sent you a PM. Give me a call at your convenience. I see you have had a lot of conversation about your scamp. Is it still available? 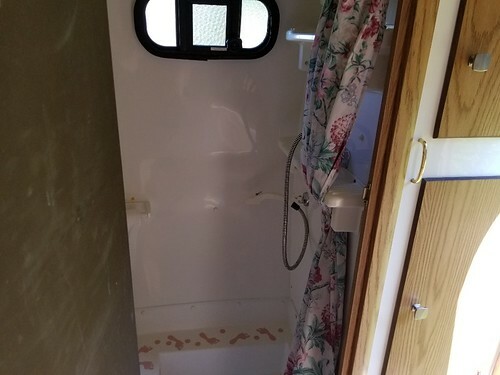 We have a 13 ft scamp and, after many, many trips have realized the extra 3 feet would be very useful. I am sorry you have to part with yours though. Even the thought of parting with our little Betty to purchase a longer option is hard. Lisa, Yes it is still available.